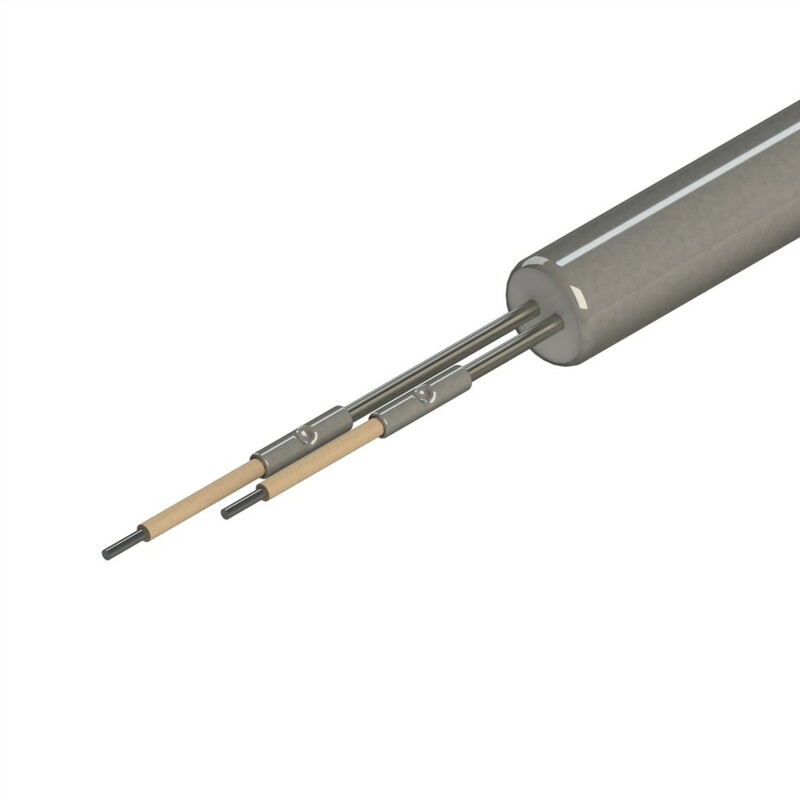 This cartridge heater has external leads, that are attached to high temperature resistant solid pins, and end crimps. This cartridge heater has the silicone coated fiberglass insulators removed – to show the crimps. All leads can be connected with this design. This style is available for all diameter heaters. This cartridge heater is only available with leads exiting straight out end.